All the Free jQuery Plugins about 'loading spinner' are listed here. Yet another jQuery plugin to create custom loading spinners inside action buttons that indicate the current status of invoked actions. Also known as Ladda Button. 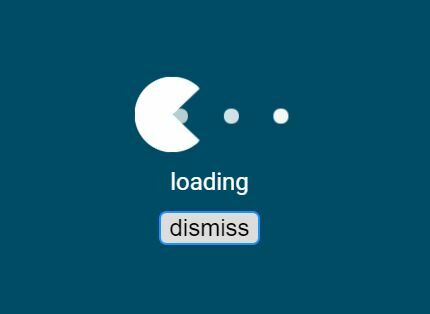 LoadingView is a dead simple jQuery loading indicator plugin which displays a custom loading spinner on a given element while waiting for some content to be loaded. 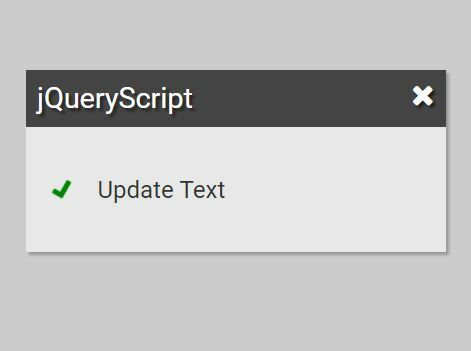 The Waitable Button jQuery plugin that displays an inline loading spinner inside an action button when an AJAX request is processing and returns a jqXHR or jQuery Promise object when the request is done or failed. fakeLoader.js is a lightweight jQuery plugin that helps you create an animated spinner with a fullscreen loading mask to simulate the page preloading effect. 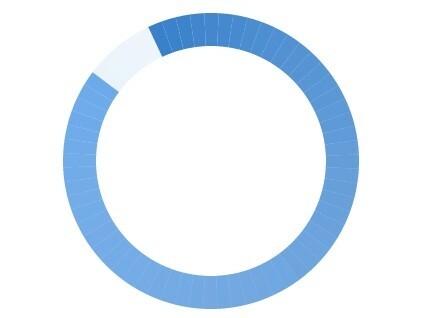 The JAjaxLoader jQuery plugin provides a collection of 10 cool, creative loading spinners & indicators for async actions. 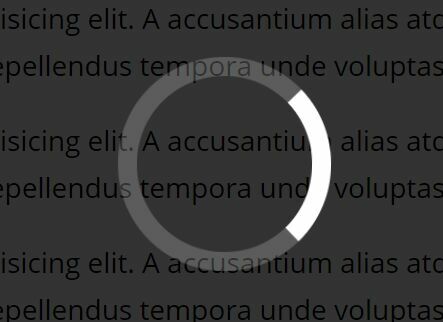 busy-load is a jQuery loading indicator plugin which shows an animated loading overlay over a specific element (or the whole page) with custom loading spinners. 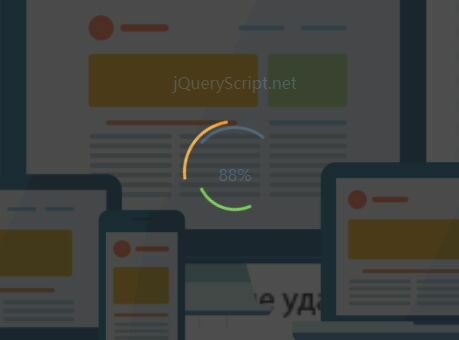 This is a fresh, hand-picker list of 10 best jQuery loading spinner and loading indicator plugins to indicate the current loading status while loading asynchronous content into the web app. loadingoverlay.js is a simple, flexible jQuery plugin which shows a highly customizable loading overlay with custom spinners while loading some data within a specific container. 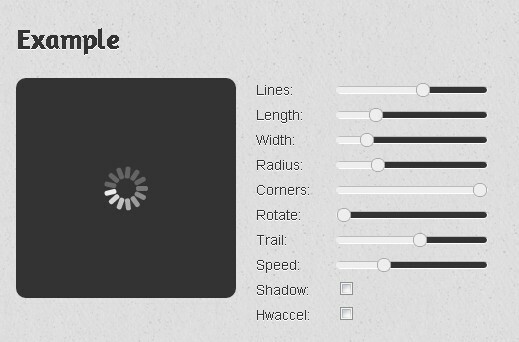 spin.js is a high configurable Loading Spinner built with CSS3 and jQuery. It works in all major browsers with No images, no external CSS and no dependencies (jQuery is supported, but not required). modal-loading is a jQuery plugin to create animated, highly customizable, modal-style loading indicators for ajax/async loading content. magicButtons is a simple jQuery plugin for creating multi-state UI buttons on the webpage that allows you to change the button state on click. 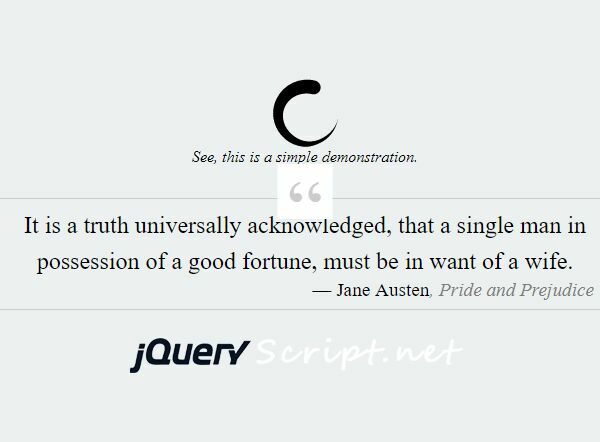 Incipit is a jQuery plugin for creating attractive loading indicator with custom loading spinner, loading message, site logo and dynamic random quotes stored in a JSON file. Yet another jQuery plugin for creating sprite sheet based animated loading spinners that can be appended to any elements such as modals, buttons, containers, etc. 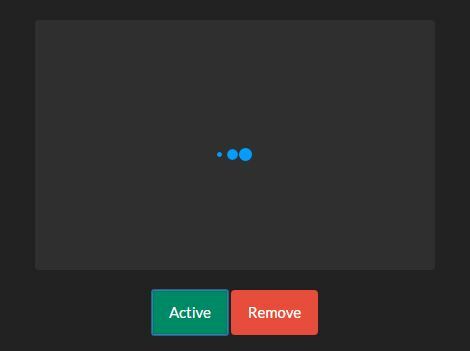 fa-loading is a jQuery plugin for creating customizable loading modal windows that use Font Awesome icons as loading spinners. 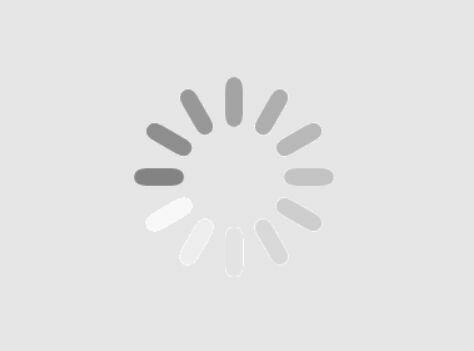 showLoading.js is a small, customizable, cross-browser jQuery loading indicator plugin to indicate the AJAX loading status on any container element. Wload.js is a really small, cross-browser jQuery loading indicator plugin which displays a loading screen with custom loading spinner and loading text on the screen. EasyLoading is a lightweight, configurable, easy-to-use jQuery loading spinner plugin to manage and manipulate CSS3 based loading animations for Ajax/Async operations. waitMe is a very lightweight (~1.55 kb minified) jQuery plugin for creating an Ajax loading overlay with loading text and animated loading spinner using CSS3 aniamtions. preloader.js is a simple, lightweight jQuery loading indicator plugin to create content loaders and preloaders while data in a specific area is loading. JQueryLoader is a jQuery loader plugin which can be used to display loading indicators when the user clicks on a link. Comes with a variety of customization options and animation types. 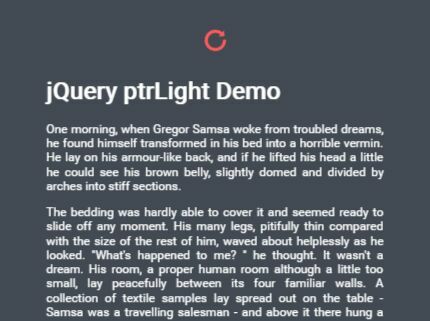 ptrLight is a mobile-first jQuery plugin which displays a custom loading indicator when you load more content via swipe events on touch devices. jmspinner is a really simple jQuery plugin that shows a CSS3 powered loading indicator while data in specific area is loading via AJAX requests. loaderMiniGame is a customizable jQuery loader plugin which displays an interactive mini game on the loading screen. babypaunch.spinner.js is a really small jQuery plugin that generates a customizable loading / busy indicator to tell your user some background task is still running. 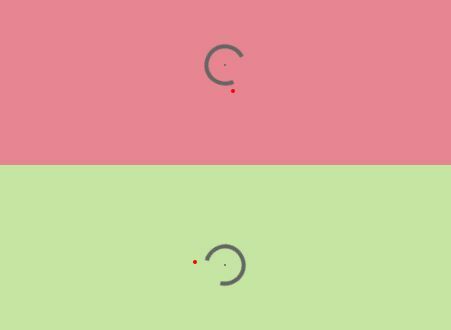 g-spinner is a super small jQuery plugin to display an CSS3 animated, Google style circles loading/busy/waiting indicator when your web content is loading. 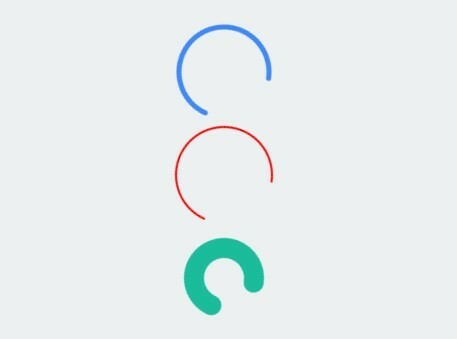 A simple, lightweight jQuery plugin that displays a stylish, configurable and CS33 animated spinner / indicator while loading some data for user feedback. 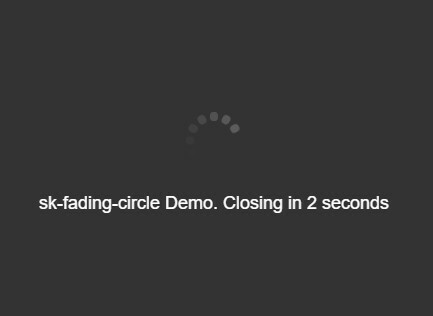 Just another jQuery plugin used to display a fullscreen loading overlay with CSS3 animated spinners & loaders while loading/processing data in the webpage. The jQuery loadingBlock plugin allows you to create a modal-like ajax loading overlay with custom loading indicator and text. Easy Overlay is a ultra-simple jQuery plugin allows you to create a loading overlay with a loading spinner on any element. loadingModal is a simple yet customizable jQuery loading indicator plugin which displays a fullscreen loading modal / overlay with more than 10 CSS3 powered loading spinners. loadImages.js is a simple, lightweight jQuery plugin which displays a CSS3 based animated loader to indicate the image is loading and you have to still wait. mloading is an easy-to-use jQuery plugin that lets you create a loading/busy indicator (with or without loading mask) on any DOM elements within the document. Button Loader is a jQuery plugin for html buttons that trigger a deferred call and display a loading indicator in the button itself. LoadingBox is a really simple jQuery plugin used to generate a customizable loading overlay with a custom GIF based loading spinner on the whole page. Preloader.js is a super tiny jQuery plugin used to generate a customizable, CSS3 based loading indicator for content loader or preloader. LoadingStateButtons is a lightweight jQuery button loader plugin which adds loading spinner or progress indicator to buttons while loading some data for user feedback. jRoll is a jQuery plugin which helps create customizable, animated spinners using SVG element and CSS3 animations. qspin.js is a lightweight jQuery plugin that allows you to quickly display a loading spinner / overlay on a given DOM element. spinnerQueue is a jQuery & jQuery UI widget used to mask a specific container with an animated loading spinner to prevent user interactions during content loading. gmsg.js is a simple, small yet multi purpose jQuery plugin which provides various types of alerts and messages for your web applications. faloading is a jQuery plugin used for generating a custom loading overlay / indicator over a specific element while waiting for some data to be loaded. Spindle is an extremely lightweight jQuery plugin that allows to use any character as an animated spinner for indicating loading progress (e.g. AJAX request). 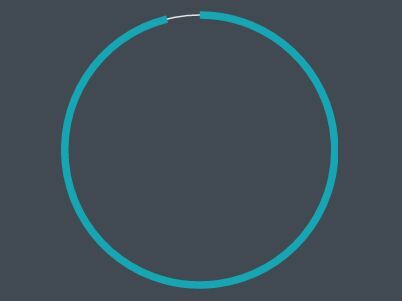 SVG Arc Creator is a jQuery plugin for rendering animated, SVG based circles / arcs which can be used as loading spinner or progress indicator. Intro Loader is a jQuery plugin that makes use of spin.js to create an animated, fullscreen loader on page load. pleaseWait is a simple yet customizable jQuery plugin which allows you to use any image (Base64 or GIF) as a loading spinner while waiting for AJAX content to be loaded. ajax-loading.js is a simple, lightweight jQuery plugin that automatically listens for AJAX events and displays a GIF based loading spinner. Mask Loader is an easy-to-use jQuery plugin for displaying a loading overlay with a custom loading spinner which covers the whole page or a specified element. 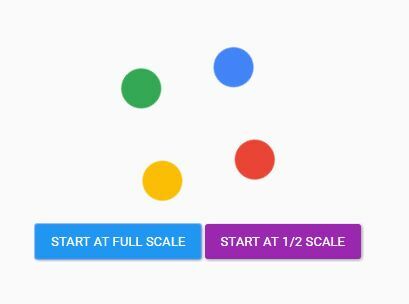 A jQuery plugin used to create a Google Material Design inspired loading spinner using SVG and CSS3 transforms. HoldOn.js is a jQuery plugin for display a fullscreen loading indicator to prevent user interactions while your webpage / application is currently busy. Center Loader is a minimal jQuery loader plugin for overlaying a given container with a custom loading spinner. Wait Overlay is a jQuery plugin that displays a loading / busy overlay with a CSS3 based loading spinner over a specified DOM element. Show Loading is a really lightweight jQuery plugin that displays a GIF loading spinner with a fullscreen loading overlay on a given container. 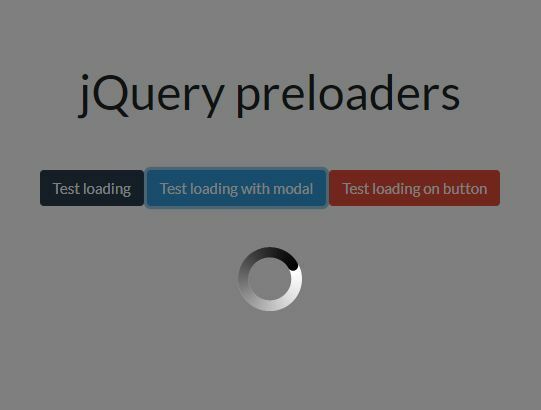 A basic, lightweight jQuery page preloader plugin which displays a preloading screen with loading spinner & background before all your web content are fully loaded. A simple lightweight jQuery loading spinner plugin that display a CSS3 animated, Windows 8 style loading indicator on the top of the whole page or only part of the page. loadingImageThingy is a jQuery plugin to display a loading indicator (image or CSS powered spinner) which which covers a specified elements or the whole page.  Waiting.js is a jQuery loading indication plugin used to generate a highly configurable loading spinner & overlay on the whole page or over a specific DOM element. CanvasLoader is a jQuery plugin which uses Html5 canvas element to create an animated (pre)loader with an overlay appending to an Html element. loader.js is an easy, small JQuery plugin to create a loading indicator that works with web pages and specific Html elements. Loader is a simple jQuery which allows you to display a loading spinner/overlay on any specified elements like button, form, body, etc. dpLoading is a lightweight jQuery plugin to create an animated loading overlay covering the whole page to indicate the Ajax loading status. iosnotice is a tiny jQuery plugin used to create Apple iOS-style overlays, notifications and loading spinners for the web. 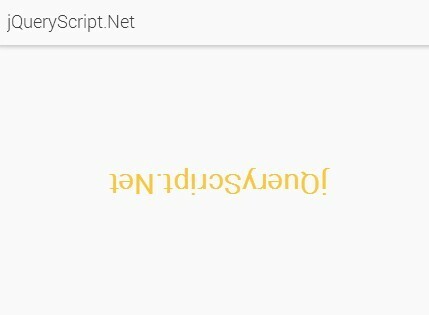 A cool jQuery snippet to create text flip animation effect using CSS3 transitions and transforms, similar to the loading animation you see in some Google products/apps. Loading Overlay is a jQuery plugin for AJAX loading that adds a loading overlay with loading text and loading spinner to a given element when loading something. jQuery Waiting is a jQuery plugin that allows to add and remove a loading indication (e.g. an AJAX spinner gif) with some useful options like positioning and adding it as an overlay inside the element or over the entire page.